“When I was 17, I lost my virginity to a female extra-terrestrial…” This is our introduction to 72 year old Hoboken, New Jersey resident David Huggins. It could easily be a flippant set up for a feature length excuse to mock his kooky claims – but it’s not. 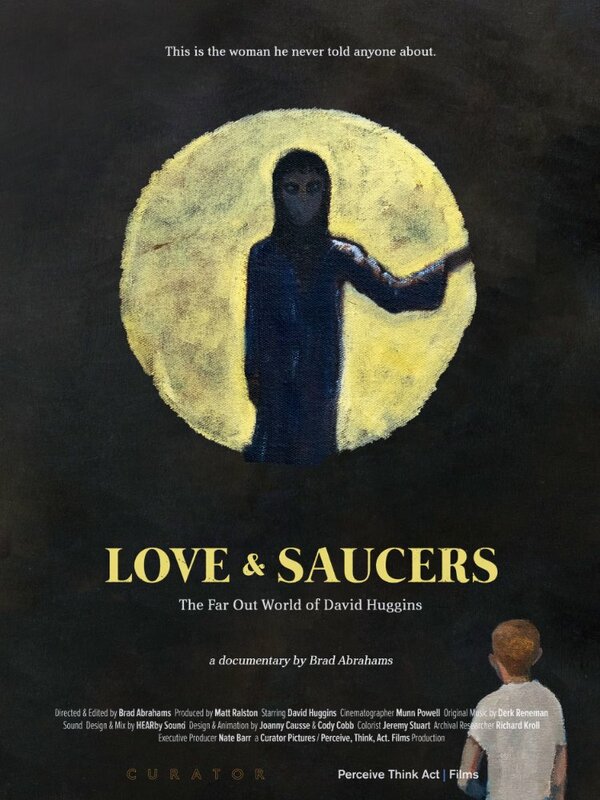 In many ways, David fulfils a stereotypical concept of a frequent alien abductee: he collects VHS sci-fi and horror movies, he references DR WHO, he creates art and scripts about his other-worldly experiences. He works part time at the local deli and relates to camera his lifetime of alien encounters, starting at the age of 8 in 1952 and culminating in an account of what it was like to climax with a female alien named Crescent (“a very unconventional relationship”). Crucially, director Abrahams never treats David like a living freakshow: he is articulate, seems rational and has a small circle of friends who speak positively and empathetically of him, refusing to judge him by his outlandish extracurricular activities. A religious professor helps put the whole thing into context, suggesting the UFO experiences influenced David’s love of sci-fi as much as his love of sci-fi influenced memories of the experiences. Abrahams presents a simple, sincere guy who believes completely in what he shares and leads a contented existence. Who are we to judge or doubt? If we choose to mock, we should be doing the same to those with similarly unprovable faith in a different kind of visitation from “on high”. A lovely, absorbing and heartfelt documentary. Labels: Aliens, Brad Abrahams, Documentary, Love And Saucers, Sci-Fi, Sci-Fi London 2017, U.F.O.